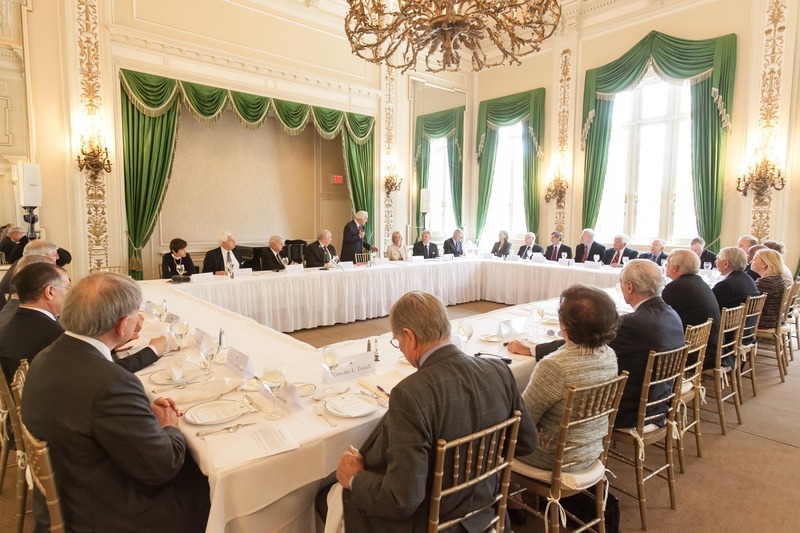 The Council of American Ambassadors held its Spring Conference in Washington, DC on May 5-6. The program focused on Russia, Ukraine and the United States. The unabated tension in Ukraine, the loss of life and the announced dispatch of U.S. troops to Eastern Europe made the Conference particularly timely and relevant. The speakers' riveting presentations provided a cogent analysis of the complex and volatile situation. Several Council members remarked that the program was one of the best they had ever attended. An Ambassadors Roundtable with the Ambassador of Russia, H.E. Sergey I. Kislyak, opened the two-day program. The off-the-record discussion centered on the escalating crisis in Ukraine. Following an introduction by Ambassador Lloyd N. Hand and Ambassador Kislyak’s formal remarks, Ambassador Gilbert A. Robinson led a robust question and answer session. Questions from Ambassadors William C. Eacho, Richard N. Gardner, Thomas Graham, Jr., G. Philip Hughes, and Timothy L. Towell covered a range of topical issues. Following the Roundtable, the Board of Directors met to discuss Council operations. The day concluded with a reception at DACOR Bacon House. 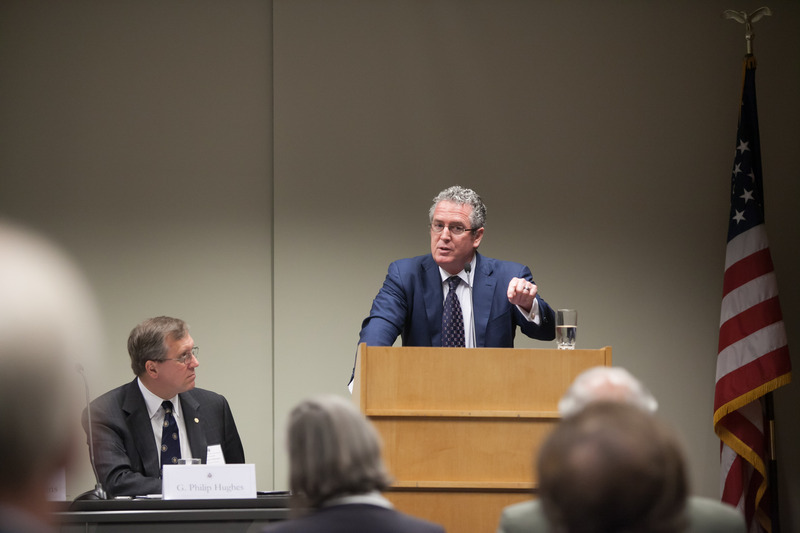 On May 6, the Council sponsored a conference at the Carnegie Endowment for International Peace. Ambassador G. Philip Hughes, the Conference Chairman, gave the opening remarks. 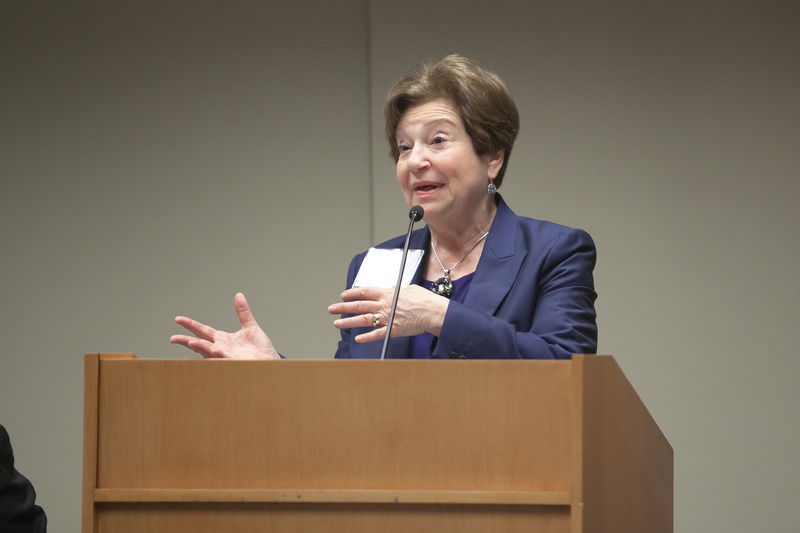 Dr. Angela Stent, Director of the Center for Eurasian, Russian and East European Studies at Georgetown University, provided a historical overview of the several "resets" in U.S.-Russian relations following the collapse of the Soviet Union. Ambassador William Courtney, who served as Ambassador to Georgia (1995-1997) and Kazakhstan (1992-1995), discussed U.S.-Soviet Union/Russia relations leading to the current Ukraine crisis. Dr. Andrew C. Kuchins, Director and Senior Fellow of the Russia and Eurasia Program at the Center for Strategic and International Studies, analyzed the ups and downs of Russia’s economy and their effects on President Putin’s political calculations and options. Ambassador John Beyrle, who was Ambassador to Russia (2008-2012) and Bulgaria (2005-2008), outlined possible U.S. policy prescriptions to improve the deteriorating situation in Ukraine. 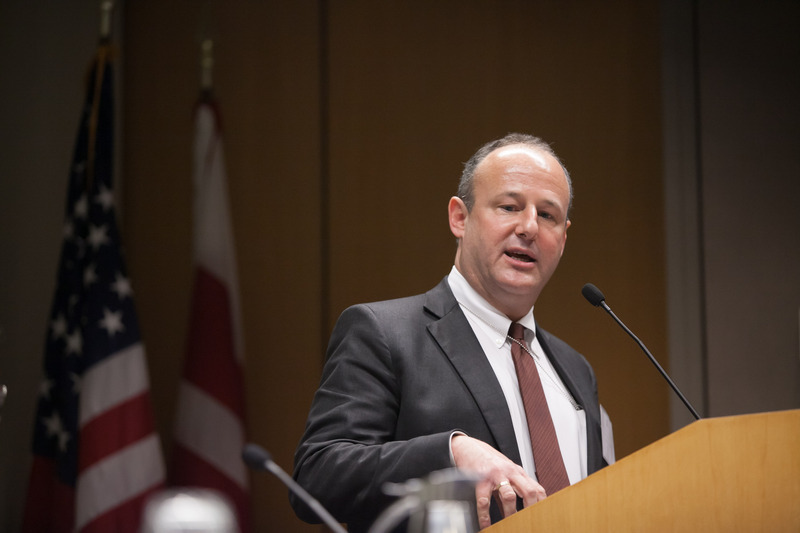 Deputy Assistant Secretary of State for European and Eurasian Affairs Eric Rubin discussed the actions undertaken by the United States Government to address the Ukraine crisis. Ambassadors Timothy A. Chorba, William C. Eacho, Laurie S. Fulton, G. Philip Hughes, and James C. Rosapepe served as moderators. The program closed with a luncheon at the Cosmos Club. 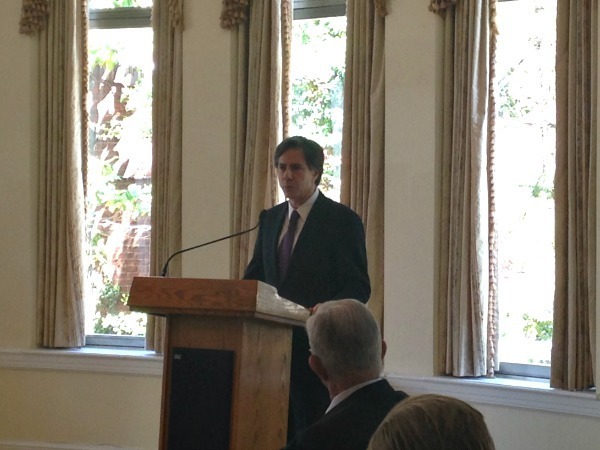 Assistant to the President and Principal Deputy National Security Advisor Antony Blinken delivered the keynote luncheon address. If you would like to purchase prints, please visit the following link.